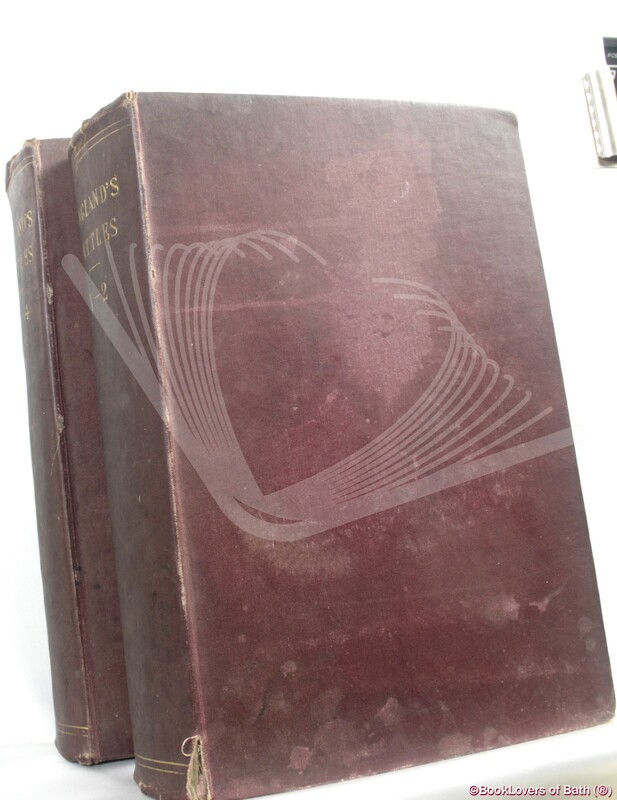 London & New York: The London Printing & Publishing Company, Undated , Hardback. Condition: Good. Boards worn and soiled, rubbed and bumped at head tail and corners and overall slightly dull and marked. Previous owner’s inscription to first blank which is also foxed. Frontispiece and first blank creased at top corner. Edges of the textblock lightly tanned. PP 51-53 gather detached in Vol IX. A reference copy with more than acceptable plates. 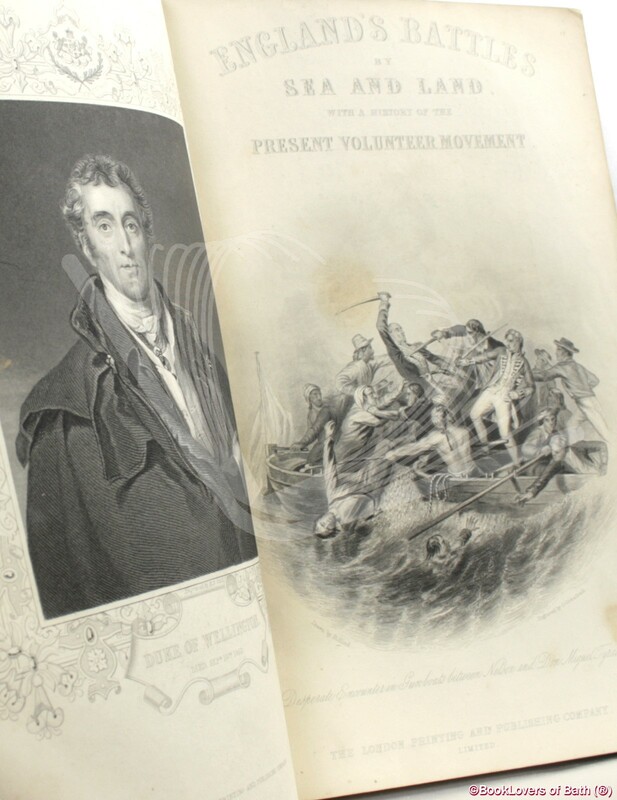 Contains: Black & white plates; Black & white drawings; Portraits; Title page vignette; Previous owner’s inscription to the first blank — “To Leslie James Henry Pitman Thank God for Victory June 28/19. From Father, James Pitman". This is the date of The Versailles Treaty which ended the First World War. I have been unable to establish who the Pitmans were unfortunately. Four volumes in Two. Volume I covers the History of the Wars Caused by the French Revolution. 1972-1812. 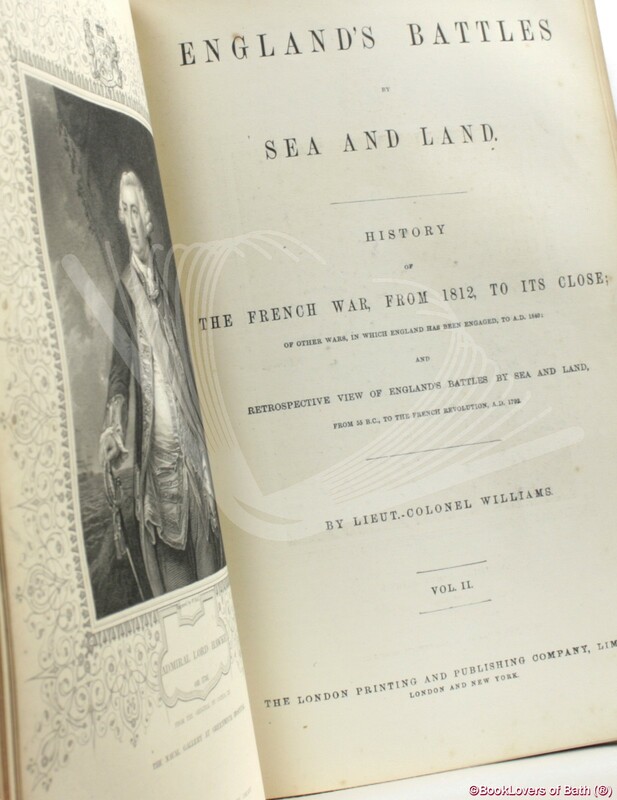 Volume II covers the History of the French War, from 1812, to it close; of other wars, in which England has been engaged, to A. D. 1840; and Retrospective View of England’s Battles by Sea and Land, From 55 B. C. to the French Revolution, A. D. 1792. 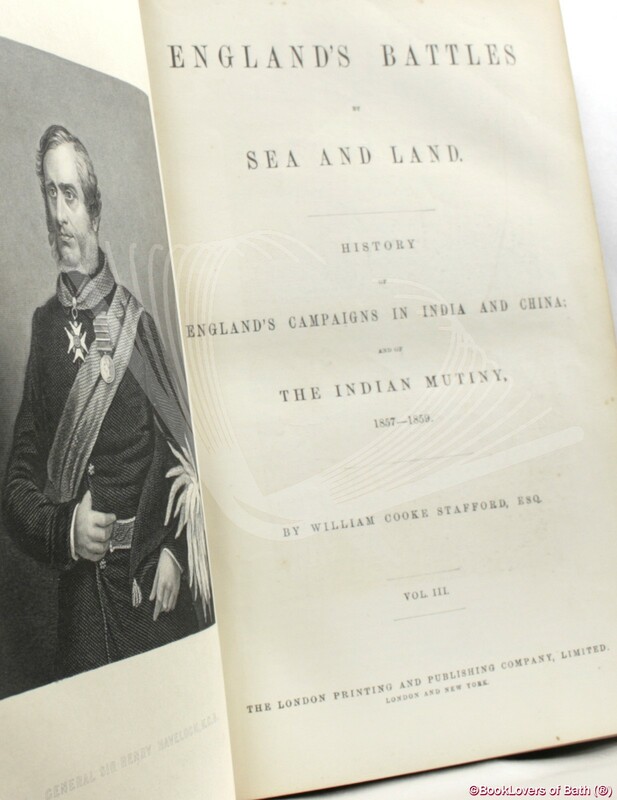 Volume III covers the History of England's Campaigns in India and China and of the Indian Mutiny 1857 - 1859. 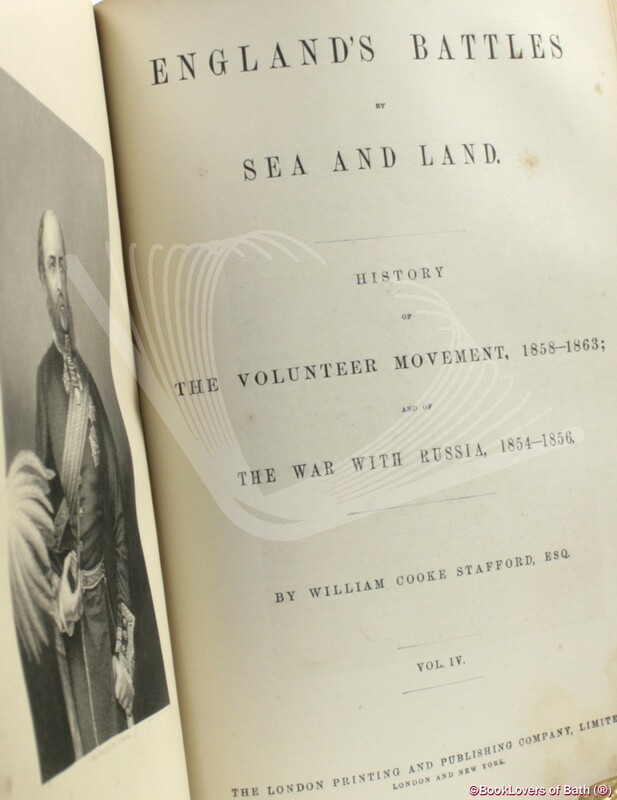 Volume IX covers the History of The Volunteer Movement, 1858 - 1863 and of The War with Russia, 1854 - 1856. Size: 11" x 7½". Red boards with Gilt titling to the Spine. [CXXXII] 302,319,452,209 pages.